The Geneva Motor Show is one event where every major car manufacturer in Europe aims to make a mark. The first big motor event of a calendar year witnesses a wide plethora of new unveils, displays, launches as well as concepts from the whos who of the Auto Industry. The Geneva Motor Show is a window to the shifting landscape of the Automotive world. Like previous years, this year also carmakers will leave no stone unturned to make a mark on the world stage with a host of offerings which will include a wide range of performance cars, luxury cars, as well as the future electric vehicles. 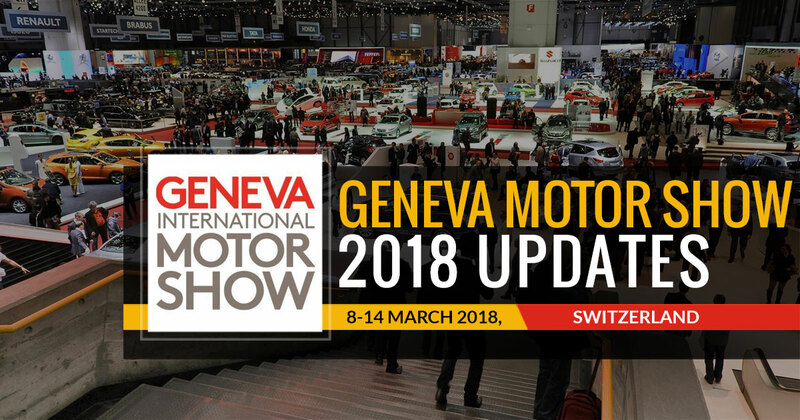 We promise to bring you all the live updates from the glittering pavilions of the Automotive giants at the Geneva Motor Show 2018. 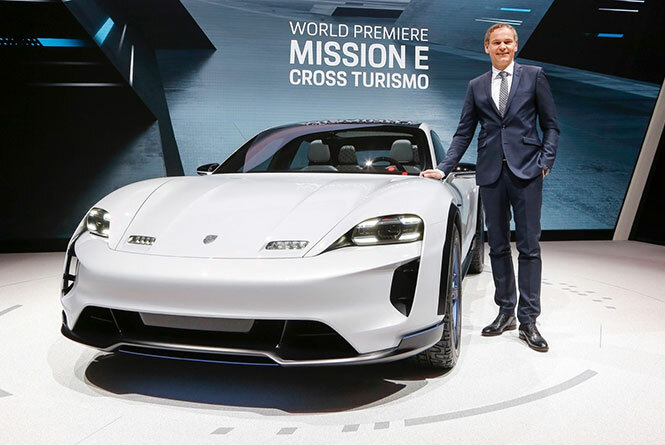 Porsche presents an electric vehicle, the ‘mission E cross Turismo’, at the Geneva Motor Show. This cross utility vehicle (CUV) has an appealing design along with striking off-road elements, touchscreen control, and an innovative display. Other features include air curtains at the front and matrix LED headlights. The silhouette comes with sporty roofline in relation to flyline to the rear. Further, to enhance the sporty design and air-channeling roof spoiler, it has a continuous light strip along with light grey metallic paintwork. A large panoramic glass roof goes from the windscreen to the boot lid making sure to create a good space. 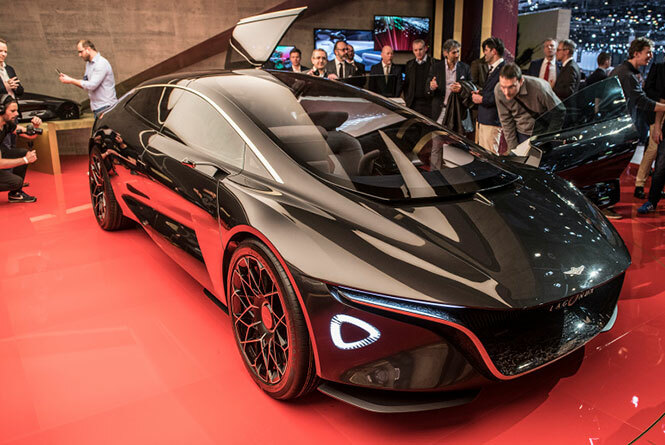 The Aston Martin’s Lagonda Vision Concept is such a model which will force you to go into details. This concept car peeks into the old times when designers do not have a measurement of practicality. This concept has lush carpets all around with handwoven wool and Savile Row tailors to ensure the shaping of everything precisely. Legroom is also spacious along with the opening roof and huge doors. Aston Martin offers Level 4 autonomy to drive itself in certain conditions. When the production of the car will begin in 2021, it will be world’s first zero-emissions luxury car brand. This all-electric SUV is different from the AMP platform. It is a concept for now. The side profile makes it interesting with the addition of Beefy shoulder line, 21-inch wheels, flush-mounted door handles, and thick C-pillar. In addition, it has sleek lights, flame surfacing, and muscular lines which make it the most proportioned Tata Cars of the date. The dashboard of the E-vision concept is a floating type one. We expect from the company to launch E-Vision Sedan in few years as well. 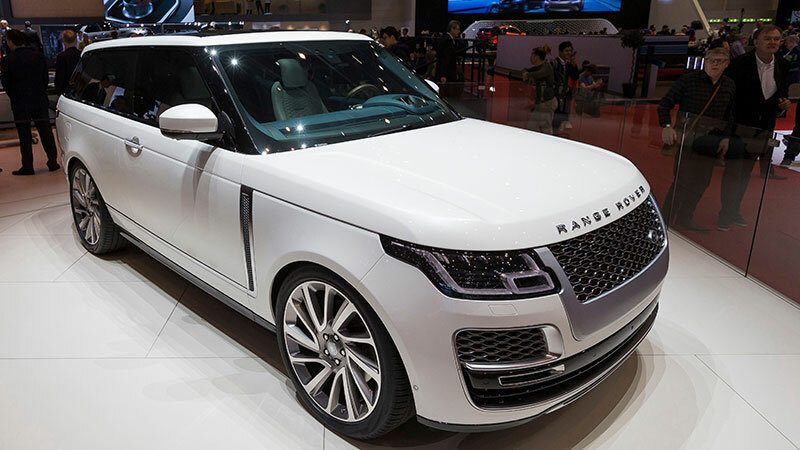 The two-door Range Rover SV coupe is the world's first full-size luxury SUV coupe. The makers will only produce 999 units of this handcrafted muscle SUV. The SV Coupe inherits the signature tapering tail, continuous, and the floating roof. The beast comes with a 23-inch wheel option as well as a new Contour Graphic color option. The power-close doors with frameless glass add new feathers to the already eye-catching design. 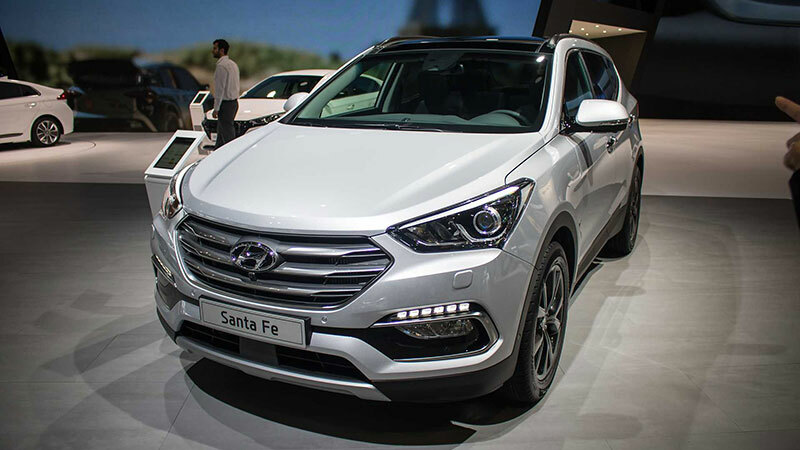 Hyundai finally gave the first glimpse of its fourth-generation Santa Fe. The new offering comes in three variants of the four-cylinder engine (both petrol and diesel) mated to 8-speed automatic torque converter as standard. The SUV will dawn the roads by the end of this year. The South Korean Automaker has plans to launch hybrid and plug-in hybrid version of the SUV. The petrol version can generate power output of 185 bhp and 232 bhp respectively, while the new diesel motor will churn out around 200 bhp. BMW showcased the M8 Gran Coupe. BMW has revealed next to nothing about the concept model. However, BMW is touting the 8-Series as the next in line to take over the flagship tag carried over the years by the 7-Series. This puts the M8 Gran Coupe right in the spotlight. Expect a 2020 launch for this future concept flagship offering. 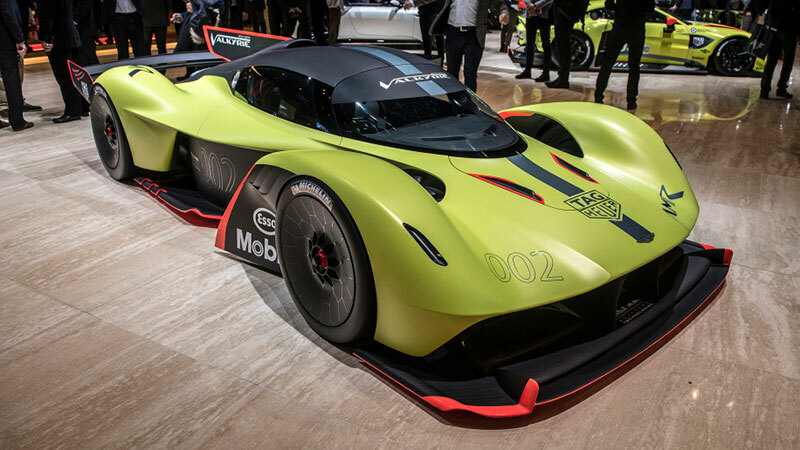 The tag “Extreme Things come in Small Packages” fits perfectly to the Aston Martin Valkyrie AMR Pro. It was showcased at this year's Motor Show. The British manufacturer preferred to keep the details under wraps. As of now what we know from sources is that it weighs 1,000 kg and the power output exceeds 1,100 bhp. 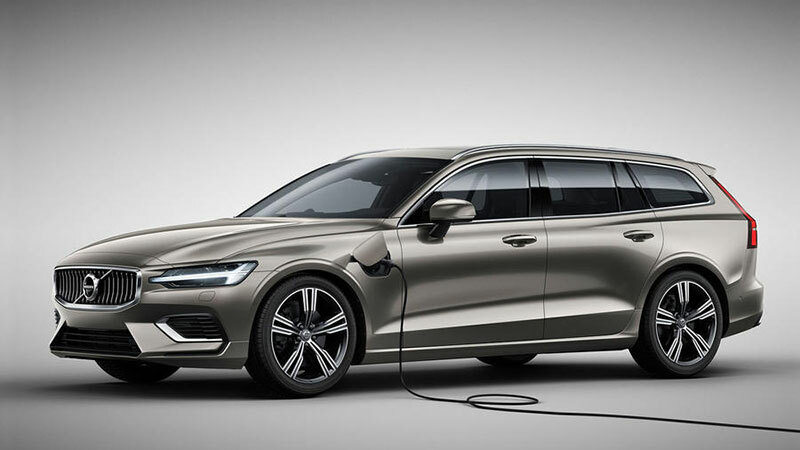 The new Volvo V60 Estate made its public debut at the Geneva Motor Show 2018. It is underpinned by the company's Scalable Product Architecture. Volvo V60 will be powered by a new 2.0-litre four-cylinder engine available in plug-in hybrid, only-petrol, and only-diesel options. The new T6 Twin Engine AWD petrol plug-in hybrid can register a maximum of 335 bhp power whereas the comparatively powerful T8 Twin Engine AWD petrol plug-in hybrid can churn out 385 bhp. Car lovers can have their hand on the beast at some time later this year. 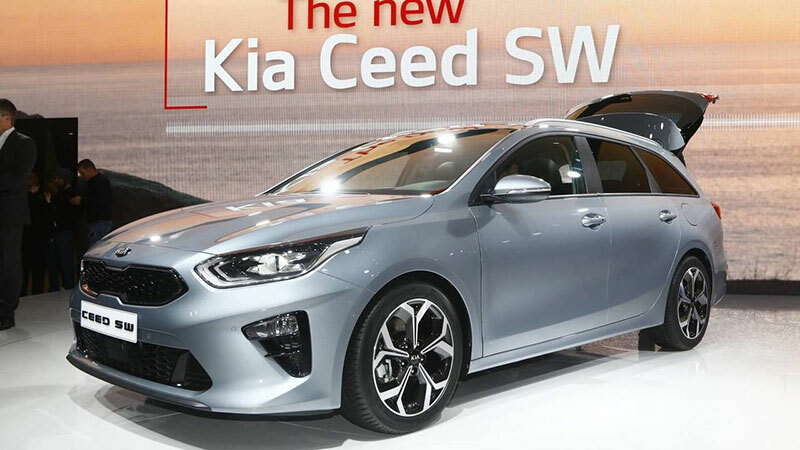 Among the new line of products unveiled by Kia Motors at this year’s Geneva International Motor Show is the all-new and renamed, the Ceed hatchback. The latest offering from the South Korean Automaker has been designed, developed, engineered and built in Europe. The new CEED comes equipped with modern day cosmetic as well as mechanical updates. It is now lower and wider than its predecessor and adorns an eye-catching and soothing new design. The bonnet lines are sharper and straighter now, bestowing a more upright stance than the predecessor. The hatchback will be powered by a 1.0-litre T-GDi (turbocharged gasoline direct injection) engine with 118 bhp. Another engine variant includes 1.4-litre T-GDi power unit with 138 bhp or a 98 bhp 1.4-litre MPi engine. Mercedes has finally raised the curtains on its 4-door AMG coupe at the 2018 Geneva Motor Show. Mercedes claims that this 4-door coupe is a perfect blend of practicality and performance. 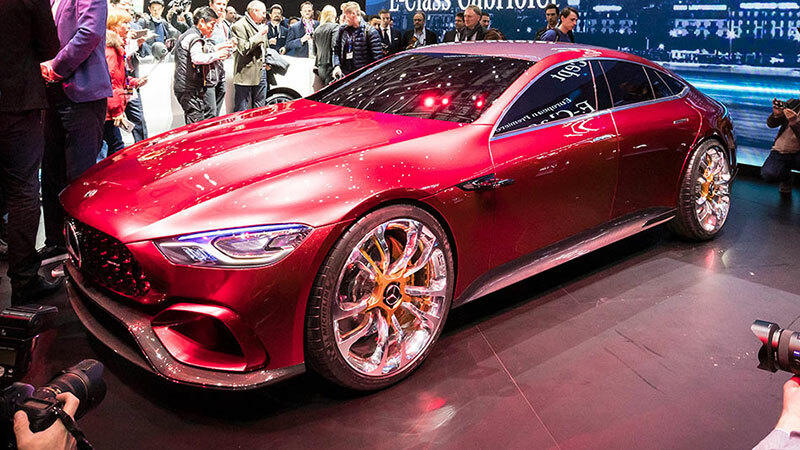 The AMG 4-Door Coupe borrows its looks and design from the AMG GT. The coupe inherits the trademark long, low bonnet as well as the Panamericana grille. The new GT4 can easily accommodate up to four people. The new offering from one of Europe's most trusted brands will set new standards when it comes to power and performance. 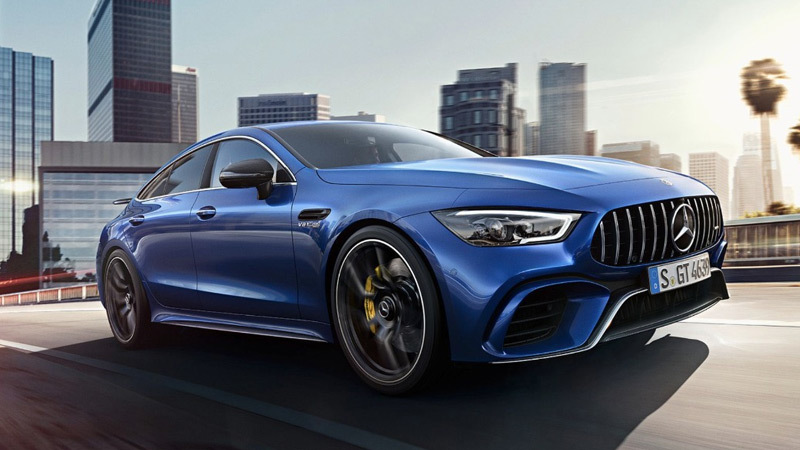 A 4.0-litre V8 bi-turbo engine offered in two states of tune will drive the AMG GT 4-Door. The higher spec variant can churn out 639 bhp and 900 Nm of torque and can accelerate to 100 km/hr in 3.2 seconds with a top speed of 315 km/hr. On the other hand, the lower-spec AMG GT4 will generate 585 bhp and 800 Nm of peak torque and can register a top speed of 310 km/hr. There is also a 3.0-litre 6-cylinder hybrid engine variant for those who prefer less power. The first slot of the AMG GT 4-Door Coupe from the Mercedes-AMG production center will hit the roads by the summer of 2018. It will lock horns with the upcoming BMW M8 Gran Coupe as well as Porsche Panamera, Aston Martin Rapide. At this year's Geneva Motor Show, Mercedes-Benz has showcased a new range of diesel plug-in hybrid models. Based on the C- and E-Class, the new diesel PHEV models couple the brand's OM654 four-cylinder turbo diesel engine with the third-generation hybrid drive system. The third third-generation hybrid drive system assembles the torque converter, clutch and electric motor in a single unit. Under the hood, the aluminum constructed engine is lighter than the previously used OM651. The OM654 ranks high on both output and efficiency than its predecessor. At the Geneva Motor Show 2018, BMW surprised all with the unveiling of the iVision Dynamics Concept. This is BMW's forte in the e-mobility arena. The all-new BMW i4 electric model will in all probability hit the roads 2025. 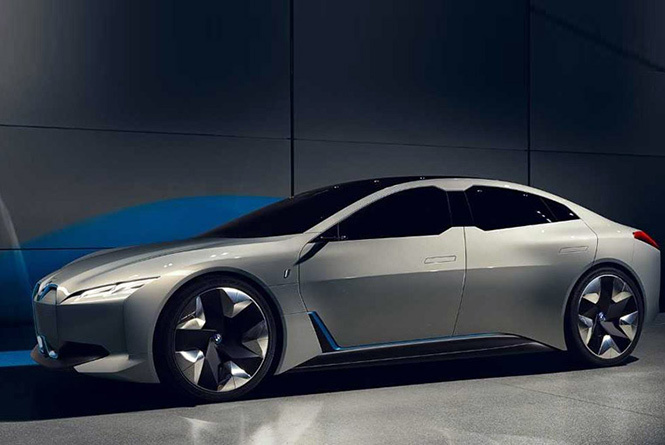 BMW's iVision Dynamics is powered by an advanced electric system and can accelerate from 0-100 Kmph in just 4 seconds. It can notch a top speed of 200 km/hr. In addition to this BMW claims that iVision Dynamics has a single charge range of almost 600 Km. 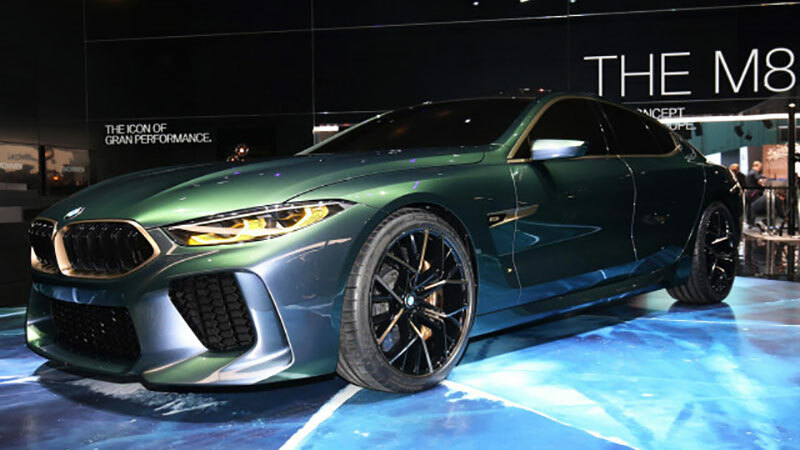 BMW M8 Gran Coupe concept makes a statement when it comes to styling and luxury at the Geneva Motor Show 2018. The four-door premium offering from the German Automaker flaunts bold exteriors as well as five-star interiors. The stance is elegant and speaks for itself. 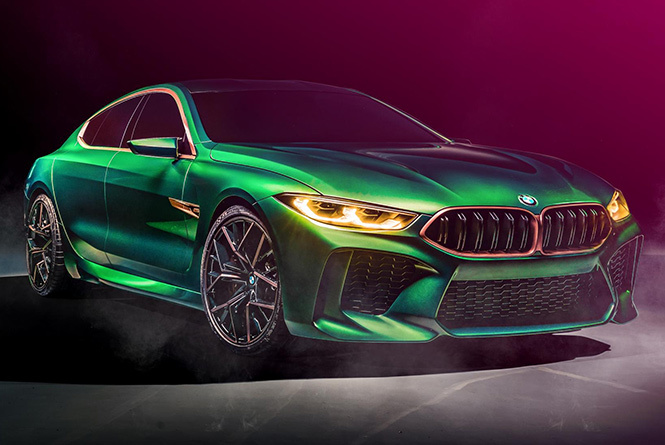 On the road, this concept Coupe from the BMW house will lock horns with the likes of Aston Martin DB11, Bentley Continental GT and Mercedes-AMG GT 4-door Coupe which coincidentally also made its debut at Geneva 2018. The German Automakers line up will also include the standard 8-Series Gran Coupe alongside the M8 Gran Coupe. The standard 8-Series is a replacement for the 6 Series in the automaker's line-up. 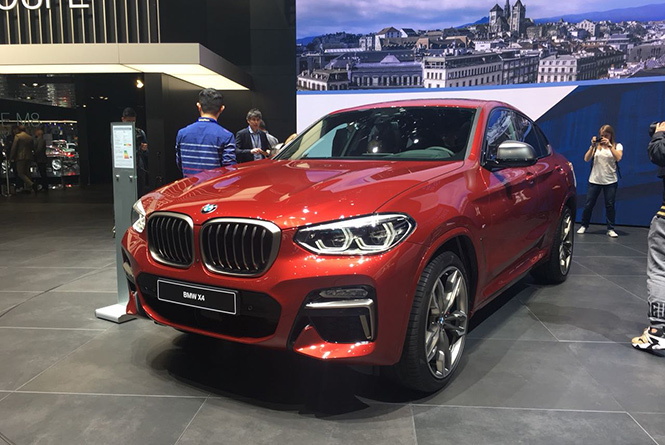 At the 2018 Geneva Motor Show, BMW has revealed the all-new second-generation X4 SUV. 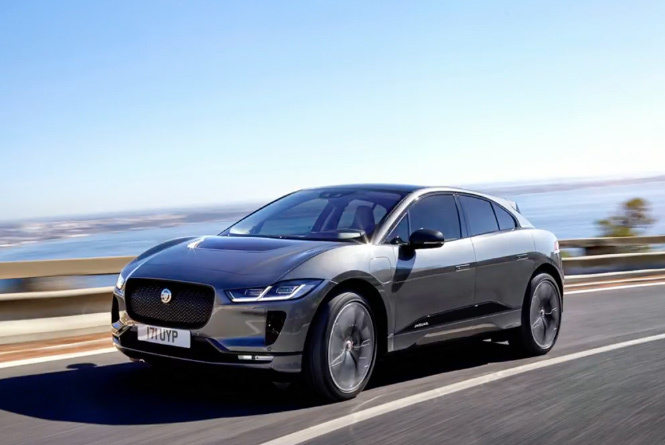 The all-new Jaguar I-Pace electric SUV is making all the right noise at the 2018 Geneva Motor Show. It will hit European markets later this year. The Red Exterior is bound to grab eyeballs on roads.Underpinned by two electric motors, it generates a peak power of 395bhp and 696 Nm of torque. It can accelerate from 0-100 km/hr in 4.5 seconds. A subsidiary of the Volkswagen Group, The Lamborghini Terzo Millennio is the first of its kind all-electric sports car built in association with MIT. The concept Sports Sar is an indication of how the brand's future halo supercar will look like. The company's claim of a self-healing carbon fiber structure that can easily identify and auto-refill small cracks in its substructure is not only path altering but raises the bars as far as industrial design and structure are concerned. With its very own e-Tron Quattro, Audi enters the buzzing e- Vehicle market this year. The e-vehicle has the making of Audi stamped all over it. The company finally showcased its the indigenous electric offering at this year's Geneva Motor Show. The all-electric Audi e-Tron Quattro SUV is powered by 3 electric motors generating a total output of 320 kW. The DC fast-charging mode enables instant charging up to 150 kW. This electric car can sprint up to 500 km on a 95 kWh battery pack. The future ahead is for autonomous cars and Volkswagen seems ahead of others in this regard. With its concept I.D. Vizzion, the Volkswagen I.D. gives a sneak peek into what the future holds for us. The interior has been completely refurbished. However, the four-door concept vehicle has dimensions in proportion to other cars from the manufacturer's production line. The Skoda Vision X Concept operates on a CNG-petrol powered engine coupled to an electric motor. Skoda claims that this enables instantaneous power delivery combined with increased mobility. It also decreases CO2 emissions level to less than 90 g/km. The Skoda Vision X embodies the features of Kodiaq and Karoq from the Czech Automakers lineup. Skoda claims that the Vision X Concept is a testimony to modern lifestyle. The high tech infotainment feature coupled with the compact yet smart and sleek interior is ideal for those who commute on a regular basis. Also, the driving experience is soothing irrespective of the urban traffic conditions or the off-road trips. Geneva Motor Show 2018: Tata EVision Sedan Concept. India’s very own the Tata Motors introduced the new EVision Concept car at the Geneva Auto show 2018. 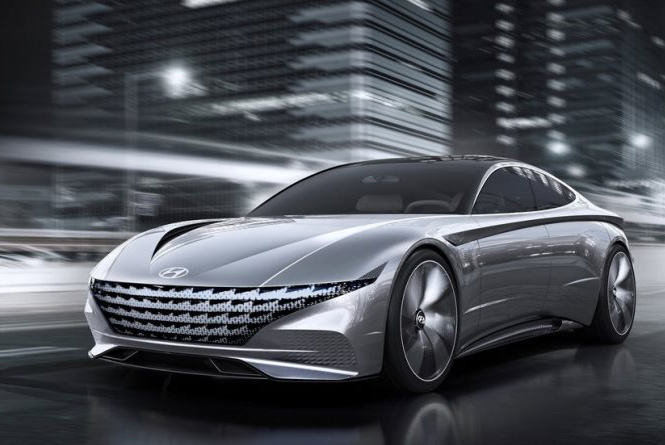 The new sedan concept is based on the Omega platform which will be used in coming future. The new EVision Sedan concept comes equipped with a new Impact Design 2.0, sculpted doors, flush mounted door handles, pillarless construction, large wheels, and chrome highlights. The rear profile is reminiscent of Jaguar cars. Having debuted at the event in 1998, this year Tata Completes 20 years at the Geneva Motor Show. Besides the Evision, Tata also will showcase its other concept hatchback. The Tata 45X hatchback concept makes its European debut at this year's Geneva Motor Show. Tata's new concepts the H5X and 45X packs futuristic design with advanced technology and impressive performance. Mercedes-Benz showcased the new generation A-Class at the Geneva Motor Show 2018. The new offering from the German Automaker represents the automaker's evolutionary design language. The automaker attempts to give a sportier feel to overall design with extended bonnet, flat LED headlamps, and a striking new radiator grille. The wheel longer and wider makes room for more cabin space. This has enabled comfortable riding experience with increased front and rear entry space.